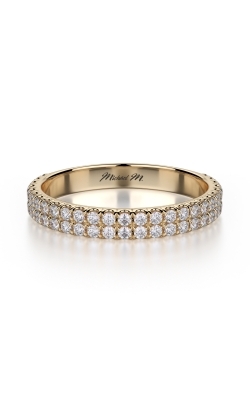 While many wedding rings are unisex, certain styles are designed with women in mind. The easiest way to tell ladies' wedding bands from men’s is to look at the width. 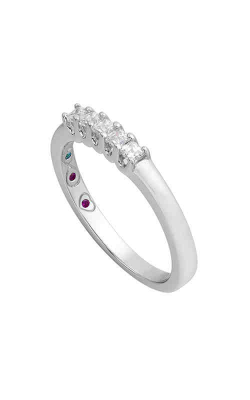 Most women’s rings are much more narrow and dainty than men’s rings. Women are more likely to choose a brightly polished finish over a duller matte finish or dark metal. A shiny metal is flashier and more feminine than a darker one like tungsten. 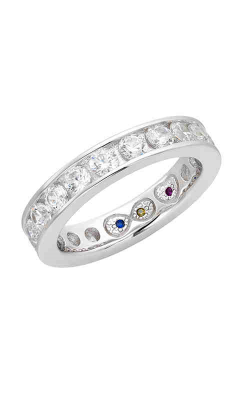 Women's wedding rings are also more likely to be decorated with diamonds than men’s bands. 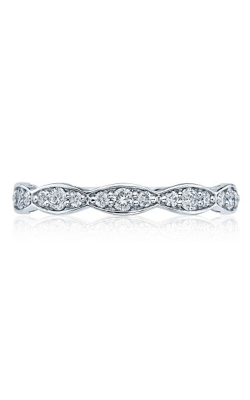 The solid circle of diamonds around an eternity band symbolizes a wife's eternal love for her husband. 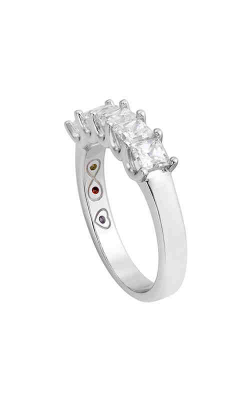 Designer Verragio offers a revolutionary ring sizing method called Fit-Right and multiple customization options. Their patented Lumino setting lifts the diamond to allow light to enter from all sides and create a space for intricate detailing. 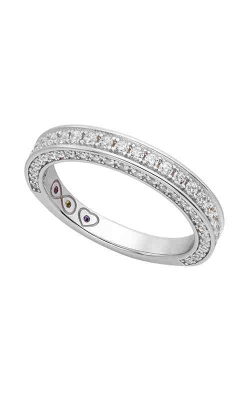 Because the ladies' wedding bands are designed to match the engagement rings, they also contain a gap filled with detailed metal work. 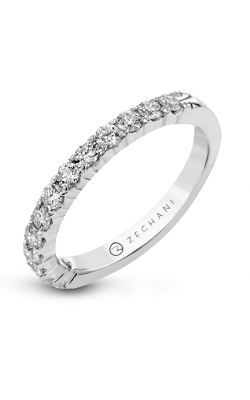 Both the Parisian and Venetian collections are defined by metal scrolls. The Parisian scrolls are tall and ribbon-like; Venetian scrolls are stretched horizontally to cover more of the band. The Renaissance collection features simpler scallops directly under pave diamonds. 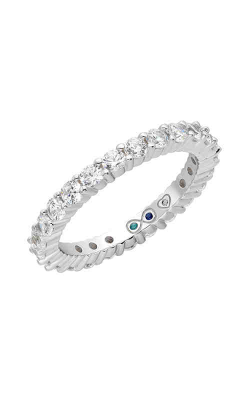 Tacori handcrafts popular, conflict-free bridal jewelry. 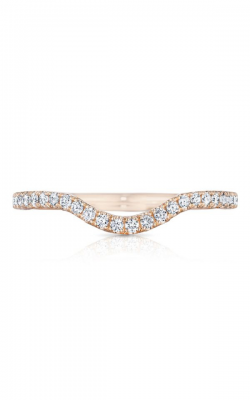 Interlocking half-moons create their signature design element, the crescent. 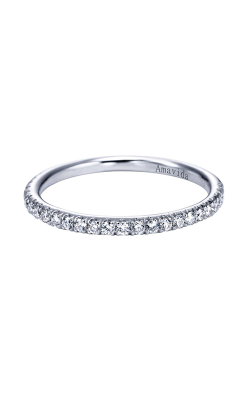 Several ladies' wedding band collections, like the Classic and Petite Crescents, are designed to prominently feature the signature arcs. 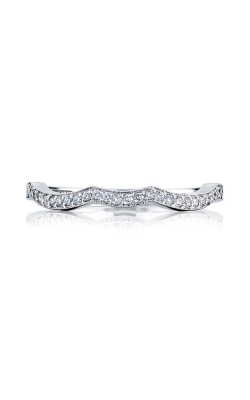 The Reverse Crescent bands invert the arcs for a lacy, feminine appearance. 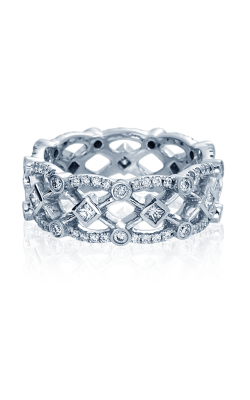 The Romanian word for lace, "dantela," is the name of Tacori's collection with romantic Old World flair. 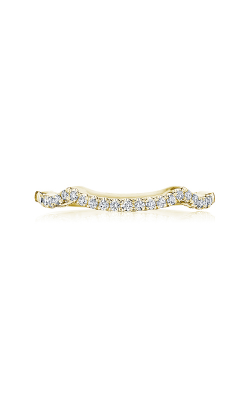 Ribbon collection bands feature interwoven shanks that look like diamond ribbons and bows. 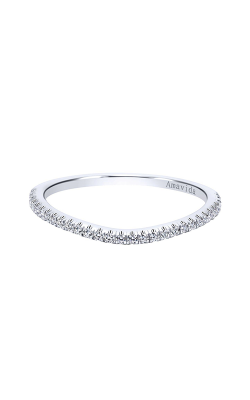 Brides who believe bigger is better love the ostentatious RoyalT bands. Thick ropes of specially cut diamonds make regal wedding rings. 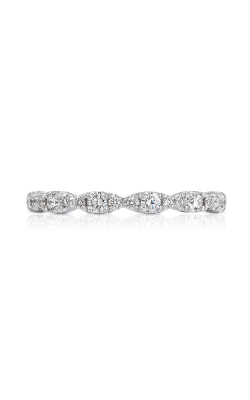 Why Shop for Ladies' Wedding Bands at Thom Duma Fine Jewelers? 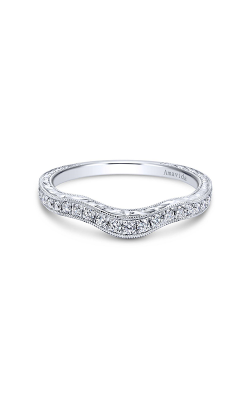 Our store has an illustrious history since its founding in 1896 as Klivan's Jewelers. Thom Duma Sr. and his partner Isadore Diamondstein purchased the store in 1957. After Diamondstein passed away in 1972, Thom Sr. ran the store alone until his son took charge in 1985. 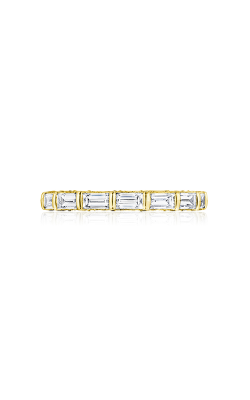 In 2002, Thom Jr. rebuilt the store and renamed the business Thom Duma Fine Jewelry in his father's honor. For inquiries about our products, services, or hours, please visit our website or call us at (330) 393.4696. You may also visit our showroom or email contact@tdfj.com.